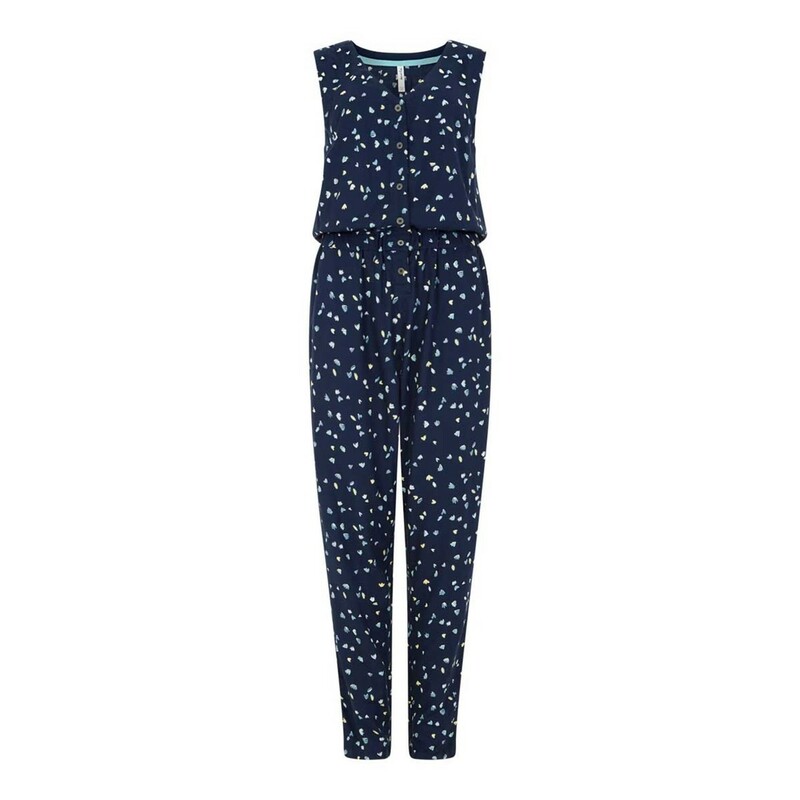 Our sleeveless Shawnee printed jumpsuit is guaranteed to catch the eye this season. Made from lightweight, cool, 100% viscose fabric with a pretty shell print that features a colourful mix of blues, yellows and whites on a navy background it is comfortable as well as quirky and stylish. 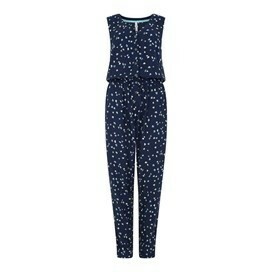 With a light, floaty feel the Shawnee printed jumpsuit is the perfect choice for long summer social gatherings. Why not throw on our Tomlin outfitter cardigan over the top as the evening air grows chillier. Excellent fit and fabric - well pleased! Love love love it. Great fit lovely fabric. Beautiful print and fabric. And makes me look slimmer and taller than I really am. Like that it buttons to just below the waist to easier to get in to than others of similar style. Please weird fish offer at least two of these per season!